It seems like we’ve really lucked out on award show hosts recently. It also seems that television executives have been truly inspired by late night programming, since it was just announced that Stephen Colbert will be hosting the 2017 Emmys. 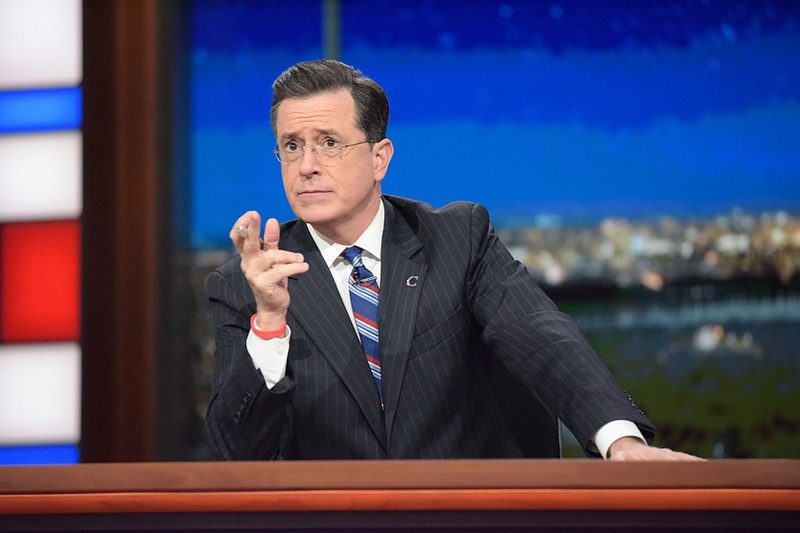 Colbert, previously known best from The Colbert Report, currently hosts The Late Show. Since he’s had a mock rivalry with Jimmy Fallon for so long, this news is even funnier, as Fallon just wrapped up the Golden Globes. This will be the first time that Colbert is hosting the show, but we have a feeling that everyone knows he’s super capable. Even if he’s secretly a little nervous, the Emmys is set to air in September. He’s got plenty of time to practice. "This will be the largest audience to witness an Emmys, period. Both in person and around the globe," Colbert said of the honor, slyly mocking claims regarding the Inauguration. We know that he’s probably overjoyed about being chosen. Since Fallon, Seth Meyers, and Jimmy Kimmel have all hosted the show before, it’s about time for Colbert — whose version of The Late Show only started airing in 2015 — to show them he’s got what it takes, and then some. In fact, we’re thinking that it’s been his recent Late Show live shows that made him a really strong contender. "Stephen is the ultimate master of ceremonies with award-winning creative talents, and as we’ve seen the past few months, he has a fearless passion for live television," Jack Sussman from CBS said regarding the choice, later noting Colbert's sharp wit. We’re glad we know so far in advance since this is definitely a show that we’ll want to watch live!